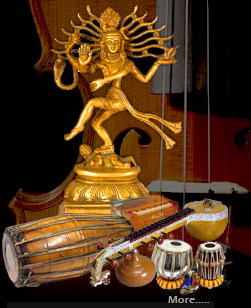 Thappu is the name of a rhythmic beat instrument and Thappattam is practiced among the suppressed Dalits classes of the people of the Tamil Nadu. 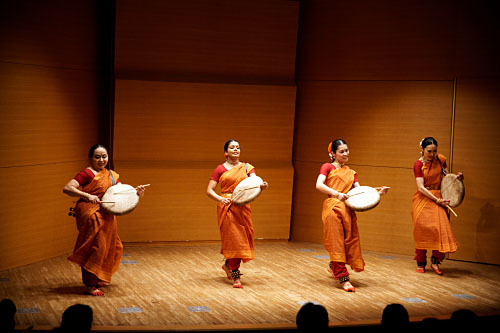 The subtle form of dance accompanied by captivating music, is an ancient rural folk art which is even now popular in urban slum areas in villages. Theru koothu is possibly the most popular entertainment forms in rural Tamil Nadu. It literally means "street party". 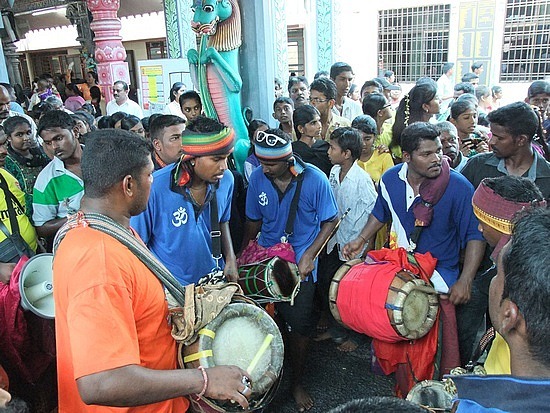 These are shows that resemble musical plays and are normally conducted during village festivals, during the Tamil months of Pang and Aadi. The show is put up at the junction of three or four strn open air theaters/make-shift stages, and the place is lit by gas lights. A wooden bench is set up seat the singers and the music troupe. Make-up and costumes are considered ofhe performance consists of stoy-telling, dialogue-rendering, songing and dancing, all performed by ts (ancient texts), epics such asmayana and Mahabharata, and also local folklore. The play starts late in the evening and goes on until late in the night. Theru Koothu is catagorized as Nattu Kotthu, including Vali Koothu, Kuravai Koothu etc. Samaya Koothu dealing with relus topics, Pei Koothu including Thunangai Koothu and Porkala Koothu dealing with martial events. The whirring sound of 'urumi' providing the melody and the beat of the Thappu providing the rhythm, accompany the dance sequence in this kind of temple art form. This is performed especially in Amman temples during the month of Adi. Nowadays, this art form is found only in selected villages in a few districts. The main singer here is accompanied by a chorus, musical instruments and a main instrument, the Villu or Bow, fixed with bells . The villu is struck rhythmically when the bells jingle in tune. The main singer relates a tale, interspersed with lively songs.